Discriminating carnivores agree that proper aging and hanging of game leads to tongue-tingling taste. “The excellence of guinea-fowl, when properly cooked, is something that should be more generally recognized,” declares a 1904 dissertation on the virtues of poultry and wild game birds. This remark could easily apply to the cooking of all wild game. Also, for hunters who like to moonlight as wild game cooks — and subject their families to the results — the adverb “properly” cannot be over-emphasized. Once a staple at the table of all humankind, game is a challenge to cook correctly but delicious and rewarding if success is had in doing so, a remarkable fact considering a meal of game most often features a critter that has spent its life rolling in dirt, drinking from stagnant watering holes and chewing up bits of bug-encrusted detritus. Thus, there are vast numbers of recipes available for exotic sauces and marinades to improve the taste of game meat, and not without reason. Chefs have spent centuries inventing ways to dress up and make acceptable their game. Hunters and their dinner guests have definitely benefited from all this culinary invention, gaining a variety of gourmand techniques over the years like potting, jerking and fricasseeing — all formulas for making fresh or tough or plain old lousy-flavored wild meat taste better. But along the way, Texas hunters have suffered the decline of one particular tool that has long been a practice of our ancestors and continues today with a select population undaunted by health-scare tactics — that of hanging and aging game before cooking it. “All of the wild creatures included under the heading ‘game,’ having red meat, should be hung for a week or 10 days in a dry, cold place before being cooked.” So says our wild game chef of a hundred years ago. And who are we, a fast food culture, to argue with culinary expertise? The purpose of aging game was to improve both the tenderness and flavor of meat. It was also a way to store and preserve fresh game long before controlled refrigeration became available. Royal kitchens of previous centuries, particularly those in cooler climates, best illustrate the ways in which foods were often stored. A variety of larders, or storage pantries, were not uncommon in great houses, mansions and castles of the landed gentry. These included dry larders where nuts and grains were kept, wet larders for storing fish, and flesh larders, where meats such as venison, pheasant, rabbit and wild boar were hung. Today’s Dutch crown, the decorative device that many homeowners suspend from their kitchen ceilings to exhibit fancy cookware, was originally designed to hang and age game. Attached to a rope and pulley system from high ceilings in cool, dark flesh larders, the Dutch crown would allow game to age in accordance with the culinary desires of the household and, most importantly, the season’s temperatures. The game, depending upon species, would hang either a few days if the air was warm or far longer in winter. But royals weren’t the only consumers partial to hanging and aging game. The common hordes used the techniques to keep food on the table when game was in short supply. Those who lived in colder climates, while perhaps suffering harsher environments, had a greater advantage in maintaining fresh food supplies as opposed to those living in balmy meadows. Regardless of temperature, however, the relatively predictable cool of a King’s larder was not always available. Instead, the variable conditions of a cow shed often substituted. And this variability often bred tolerance, especially when necessity required a developed taste for what at first may have seemed inedible. For example, 18th-century Icelanders hung meat-scrap cattle and horse bones from the rafters of their cow sheds for weeks at a time, then smoked them, boiled them in a pot and feasted on the remains. It was called hraun, the Icelandic word for lava, which may have reflected the state of digestion after consumption. Tudor kitchens and cow sheds aside, the aging of game is perhaps best understood in terms of biology. Aging, or conditioning, of game begins promptly after the animal dies. All meat, game or otherwise, starts to lose its tenderness after death due to the onset of rigor mortis. Rigor is the process in which muscle fibers stiffen and contract. This condition lasts up to 24 hours or more, depending on the temperature of the meat. For instance, meat chilled quickly and kept at 34 degrees remains in rigor for a considerable period, returning to its original level of tenderness only after three days. The beneficial phase of aging starts to work once the period of rigor ends. As the muscles lose their stiffness, enzymes that occur naturally within the cells, called lysosomal enzymes, begin to break down the muscle and its connective tissue (or collagen), further increasing the tenderness of the meat. This process, called autolysis, continues at a constant rate for up to 14 days, as long as the meat is held at a proper and consistent temperature, and then decreases thereafter over time. Despite health fears that have generated statements to the contrary, this process is not the same as allowing meat to “rot.” Rot is caused by a combination of warm temperature and the growth of bacteria on meat exposed to air. Bacteria consume the cells of the meat and release waste products in the process, emitting a smell not unlike the inside of a hunter’s vehicle or, more appropriately, his boot. Temperature, then, is the key to encouraging healthy aging and preventing unwanted bacterial growth and decay when hanging game. Finding the above heading anyplace other than the index of a cookbook should inspire consternation and, invariably, a call to police. However, in this context, it defines the basic principles behind successfully preserving game, which begins with proper preparation. Thorough cleaning and expedient cooling are integral to the start of a great wild game meal. The conscientious preservation of game not only protects the fullness of its flavor but acts to enhance the positive aspects of its gaminess, a unique taste derived from the natural fruits, grasses and grains the animal ate before it, in turn, is eaten. 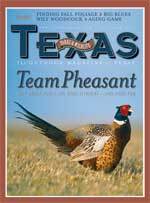 More often than not, poor flavor in a game dish is not a result of bad recipe choices or, if prepared at the deer lease, one too many cocktails for the cook. Instead, it is the direct result of sloppy preparation of the game long before cooking ever takes place. Most sources for preparing big and small game recommend animals be bled, cleaned, skinned (if furred), cooled, and then hung or frozen immediately after the kill. An animal should be bled from the jugular while the carcass is lying on a decline and, according to some cookbooks, the blood can be collected and (vampire jokes notwithstanding) refrigerated for later use. It is often recommended to remove all fat from the carcass as, even after freezing, it can turn rancid. But fat will also protect the meat if aging is the next step in preparation, and can be trimmed after aging is complete. If the game is furred, it is important to remove any loose hair on the meat, as the oils can cause the flavor to “get funky,” and any areas that have been damaged by shot must be scraped clean or cut away. Leaving the hide or feathers on is sometimes recommended, as it prevents moisture loss and minimizes exposed meat to bacterial growth. However, diligent sanitation and expedient chilling allows for skinning during initial processing. Beyond the quality of the preparation period, the length of time for aging game depends on a number of variables including temperature, chill rate, species, age of animal and cooler space. The recommended temperature range for holding meat for aging is between 34 and 37 degrees Fahrenheit. This allows the enzymes to do their work but helps to prevent the rampant spread of bacteria. Ideally, game should be chilled quickly to 34 degrees and maintained at this temperature for the entire aging period, usually up to a week or more for large game like deer, elk and moose. If the animal is older, then up to two weeks of aging often helps to further tenderize the meat. If the chill rate has been slower, typically when carcasses are held in the hunting camp for a few days under less than ideal conditions, then aging times will be shorter. Game birds, such as doves, pheasant, geese and ducks, require two to three days unless they are older and larger, then four or five days hanging will do, although individual preference is the defining factor. Some early game connoisseurs preferred to allow their pheasant to hang until the body separates from the head. However, such an unpredictable time frame may well to lead to unpredictable taste. The opportunity to age game often depends on available cooling space. Unless a walk-in cooler is handy, hanging a full carcass may be difficult. An extra refrigerator with the shelves removed often works for aging halved or quartered carcasses and a few choice cuts. But it is not advisable to overcrowd the hanging space. Allowing air to circulate around hung meat is both recommended and necessary for proper aging. As with most culinary treatment of wild game, individual taste is the final determining factor once proper processing and cleaning techniques have been followed. Some hunters swear by aging while others insist that there is no perceptible difference between the taste of aged and non-aged game. Yet, this writer, having spent an entire childhood chewing through the dry, bacon-strapped carcasses of white-winged doves while pausing occasionally to pick the birdshot from between his teeth, can attest to the miracle results of aging game. Occasionally I have the opportunity to enjoy the company of San Antonians Bill and Pam Shown, who spend some of their getaway time in my hometown of Marathon. Bill is an avid dove hunter as well as an artist on the BBQ grill. One evening, I was invited over to their rental cottage, where Bill was busy with shish kebobs. The ’bobs were stacked with chunks of red onion, bell pepper, tomatoes and medallions of what I assumed to be filet mignon. The meat was of a deliciously dark red color and a deep rich flavor that rivaled some of the choicest cuts of beef I had ever tasted. Once I polished off more than my share of skewers, our discussion turned to the onset of the west Texas dove hunting season. In passing, I mentioned my reservations when it came to the taste of dove meat. “You didn’t like the kebobs?” Bill asked. Jaws agape, I made my way back to the grill and filled my open mouth with another helping. Bill swears by his dove-aging routine and says he has aged the little game birds the same way for the last 20 years using the following technique: Immediately after retrieving his downed birds, he stores them in his game bag. Once he’s hit his limit, Bill loads his birds into a gallon-sized zip-lock baggie (a gallon-sized baggie holds exactly one limit of birds) and pitches the baggie into the ice chest. While everyone else on the day’s shoot is busy cleaning their birds, Bill relaxes with a refreshment and Topo Chico, shaken not stirred. (Bills says the bubbles in Topo Chico, a mineral water from Mexico, are strong enough to clean your teeth.) Once Bill returns home, he marks the baggie with the day’s date and throws the bag of birds — heads and feathers and guts intact — into the back of the refrigerator, where they stay for up to two weeks. Sometime during or slightly before day 14, Bill spreads a newspaper out on the coffee table, turns on his favorite sports channel, and proceeds to pick, snip and gut the birds, then washes them, cooks a few for dinner and stuffs the rest into quart-sized zip-lock baggies (eight per bag is a perfect fit). Then he fills the bags with water, seals them and pops them into the freezer. While biologists and health professionals might blanch at Bill’s brazen disregard for meat processing standards, they would be hard pressed to argue with his culinary results. Aging and hanging game may not be for everyone. For many, a fondness for game continues to be an acquired taste and aging it, while increasing tenderness, may also tend to pump up an already robust flavor. But for those who manage to fill their larders each year with nature’s offerings, hanging and aging game may be another way to make good fresh food taste great. And for the generation of Texas hunters like me who are beginning to feel their years add up, extolling the benefits of aging game might be the only opportunity to discover something positive about watching meat grow old. Aging game meat considered “red,” such as venison, duck, elk and dove, has its benefits. However, it is usually recommended to avoid aging any “white” meat, such as quail and turkey. Safe game aging depends upon storing carcasses or cuts at a temperature range between 34 and 37 degrees. Higher temperatures will encourage spoilage and lower temperatures will simply freeze the meat and halt the aging process. For example, keeping meat at a temperature above 40 degrees is a recipe for gastronomical disaster, but freezing the game quickly will cause “cold shortening,” and the meat will become tough. Ideally, meat should be chilled to just above freezing and then held at that consistent temperature for a duration determined by the meat’s species. At 34 degrees, deer, elk cows and moose cows should age for a minimum of seven days. Bull elk and bull moose may require twice as long. Antelope should be aged for only three days, as the structure of antelope meat tends to collapse quickly. Once aging is complete, be sure to remove any surface fat. Also, look for and trim off any slime due to bacteria and mold growth, especially on lean meat. Aging meat that has no surface fat at all is not recommended. The lack of fat allows the meat to lose moisture and is likely to encourage deterioration. It is often advised not to butcher or process game while it is in rigor mortis. Pork should not be aged. Unsaturated fats in pork meat tend to oxidize, adding a rancid flavor to your chops. If ground meat or sausage is the final destination of the season’s kill, then aging is not really necessary. The term “freshly ground” applies to the process as well as the flavor. It is often suggested that removing the crop of a game bird immediately after downing the bird will prevent the meat from souring. The crop, filled with grain, has a tendency to ferment. Fish-eating ducks may need additional soaking or marinating in acidic mixtures once aged. A final rule of thumb when aging: If the meat is emitting an unpleasant odor, then throw it away regardless of the amount of time and care spent on processing and aging your game. Recognizing a bad smell is an important tool in the culinary skill set used for preparing wild game.